Q: will this wire fit a 2003 ultra classic with Harley helmet? This cord is a 5 pin cord that only fits J&M headsets, the 5 pin configuration is for Honda Goldwings. We may be able to find a cord that that will work with your Harley 7 pin configuration. Is your headset a J&M and do you know what model? 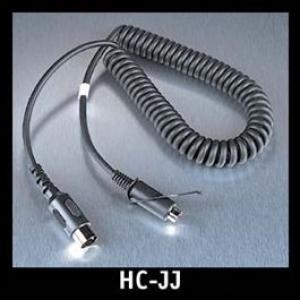 Q: Will the HC-JJ replace the HC-E cord??? I understand I will lose the right angle connector for a straight in connector. Just wondering if connection to helmet is the same.